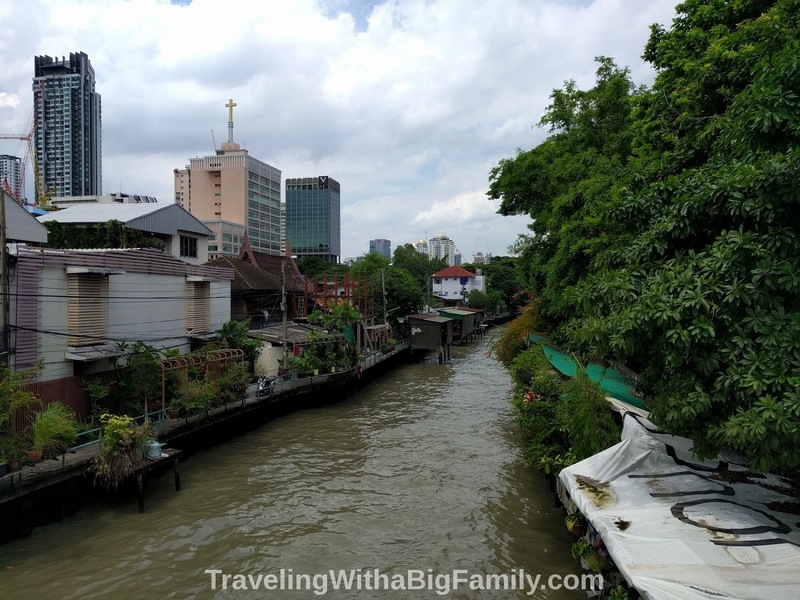 When we travel with our big family, we almost always find that a rented apartment or home will suit our purposes much better than any hotel can, as we discussed in this prior post. However, staying on the right side of the law can be difficult when you're from out of town and you don't know the local laws. Some residential areas have been occupied solely by local residents for decades, or centuries. Then a disruptor business, which caters to short-term visitors, makes it possible for some of those local residents to rent out their home or apartment for brief stays, even one night at a time. Tourists and travelers show up and stay for a night, or ten nights. That, by itself, would have probably caused little to no trouble. What generates a lot of tension is when some enterprising individuals decide that the short-term rental business is so profitable (at rates so high that they could pay for the entire apartment purchase inside of two or three years) that they'll acquire a dozen units in one building, or several homes in a neighborhood, and rent them all out by the night. Now residents see a constant stream of tourists, day and night. Some of the tourists are loud, some of them are drunk, almost all of them are foreign - and the residents feel that their quiet, traditionally residential area is being very undesirably transformed into Backpacker Central. So, when residents become unhappy, homeowners and condo association meetings are held, then city council meetings, and eventually local laws or ordinances are passed to restrict rentals. Another path to these restrictions - the one that I think is most common - is when wealthy, prominent business people in the community (such as those that own hotels) loudly protest the loss of business to the competitor and the disruptor business, which is providing a much better service for a better price. A hotel association might describe a situation where an individual rents out his or her own private property as a so-called "unregistered hotel." 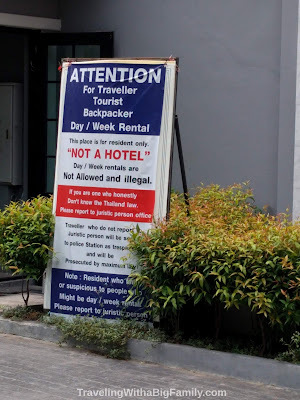 Of course, neither the owner nor the traveler believes that it is a hotel - and avoiding the typical hotel experience is actually kind of the point. In any event, laws get passed that make traveling difficult. Some cities may proclaim that the minimum rental length for a residential unit is much longer than the average just-passing-through tourist might stay: such as 30 days, or 6 months. Others may put byzantine restrictions in place, which allow a rental only if the host personally lives in the unit most of the time, thus preventing one person from operating numerous rentals. Other cities require a licensing and registration (and taxation) process. Obviously, these restrictions are not advertised on the rental listings. The rental platform may take the stance that it's up to each city to police and enforce its own rules and regulations; the rental platform feigns ignorance of any local laws and says they aren't to blame. They leave it up to the hosts to comply with local laws. And yet, even years after local laws are put into place, you can still find dozens of non-compliant short-term rentals being advertised for that area. It is hard for a tourist to know that a short-term rental may be, as a rental host in that area might phrase it, "technically against the law." I may have legal problems. This was understood to mean that the host was being sued, or had been accused of a crime. Or maybe he was divorcing, who knows. So our friends sent him two or three replies, which the host ignored. The rental platform offered a full refund, plus assistance with choosing any one of dozens of other available rentals, but with only four days left to choose one and make the booking. For any traveler who plans things months in advance, that was a disturbing setback. Our friends figured that there was some particular, personal situation that was unique to that host as an individual. They had no idea. They didn't know it at the time, but some news sources were reporting that it had suddenly become supposedly unlawful for owners to rent out units to tourists in certain residential condos for a few nights. Basically, the city didn't want tourists treating residential condos like hotels. Now, again, I wouldn't want to write anything that might incriminate anyone in any matter in any country, particularly any country to which said persons might be hoping to return one day. So like I said, this story is about our friend. I mean, really it's more of a dream. Our friend's dream, or nightmare rather. So, about our friend's experience from his bad dream, read on. After the very last-minute cancellation notice, suspecting nothing, our friend looked around and booked an alternative condo about 15 minutes away, in a completely different neighborhood. The host provided free airport transfer, which was a big plus. 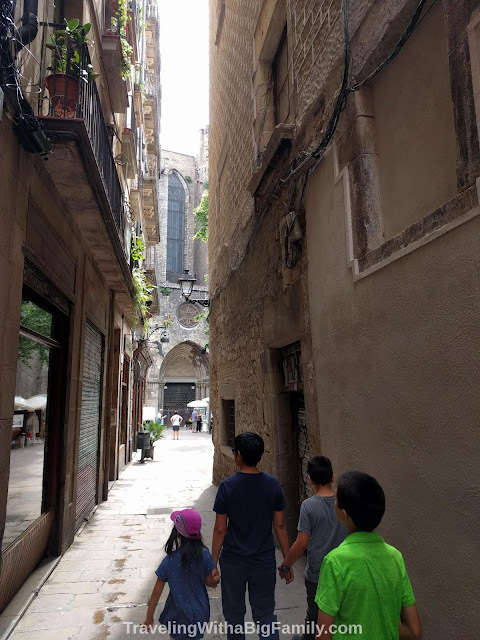 However, our friend found it odd that rather than dropping his family off at the front door, they were taken to a back-alley entrance, and spirited up a backdoor elevator that looked like a service elevator. On the ride up, the driver asked the family to remain very quiet while passing through the hallways, so as to avoid disturbing the other people in the building. "It's best if you don't talk," he said. Please be aware that this building thinks it can pass silly rules against tourists. However, don't worry, you have my permission to be here. No problem. But please, when you pass through the lobby, don't speak to anyone. There may be a very nosy lady at the front desk who will try to ask you questions, like where are you from, or what unit are you staying in. Just don't answer her. Don't even stop for her. Just walk through the lobby without speaking to anyone. You have every right to be here. Just don't respond to any questions or I could get in big trouble. The family felt like they had to be on guard every second in that place. The parents kept shushing the kids anytime they could hear them getting even a little loud. They kept the sound on the TV very low - not that they can understand what Spongebob Squarepants says in the language of that country anyway, but still. His whole family followed a strict "No talking in the hallways or elevator" rule and had to maintain total silence every time they entered or exited the building. Every day they would see a gorgeous outdoor swimming pool, but they knew they couldn't expect to use it without attracting attention. "Hi, who are you?" wasn't a question they wanted to hear, after receiving the warnings from the host about "big trouble." They felt unwelcome. They entered and exited the building through the rear entrance, the one to which they had been introduced by the driver. On the morning that they were set to check out, the father of the family took a different route out of the building. Usually the family entered and exited through the rear elevators, which were very close to the rental unit and to the street. Now, he didn't know what the "Judicata" was, but he was pretty sure he never wanted to find out. The sign was in white and red, like a danger sign. It looked somewhat like the photo at the beginning of this article (which is a photo taken at an entirely different condo). After his trip, further research indicated that this was actually just a Juristic Committee, meaning basically a condo owners' committee, so...maybe not that big a deal? As the host said, no committee of property owners can pass actual "laws," right? But then again, what we do know about that country and its laws, really? Maybe such a committee can create "rules," but how could they create "laws?" But at the time, passing through that lobby, his brain read that sign's wording as meaning something like "The National Department of Justice." Plus, even if it was just a matter of a small risk of getting the bum's rush and having his family grabbed by the collars and escorted to the nearest exit, who would want to go through any sort of drama just for an apartment rental? And even if no laws of any kind were being broken, having security called on his family wasn't something he was interested in experiencing. Our friend rushed back to his unit to get his family and luggage. Fortunately, they were actually on their way out to another city that morning anyway, and were 90% packed and ready to go. So this notice didn't impact their travel plans other than to speed them along. They were already planning to get out of Dodge, and now they simply had even more incentive to do so, immediately. Don't worry. Sorry. That's just scare tactics. You have every right to stay. You are not breaking any laws. They can't restrict short-term rentals so they just try to scare people with these silly signs. They are just nosy people messing into other people's business. Our friends were very, very uncomfortable with all this. Going forward, they made it a habit to be much more cautious about short-term apartment and home rentals (especially condos), and to do a little research about city laws and condo rules before making future bookings. Okay, so, enough about our friend and his travel nightmare. Good thing that wasn't us, or even our dream. My apologies, but the city has advised me that I will be issued a fine and a court summons if I continue to rent out my apartment to short-term visitors. I complied with all their rules but they keep changing the rules and adding new ones, so, at this time, I must cancel. His email came with a notification that we had been issued a full refund. 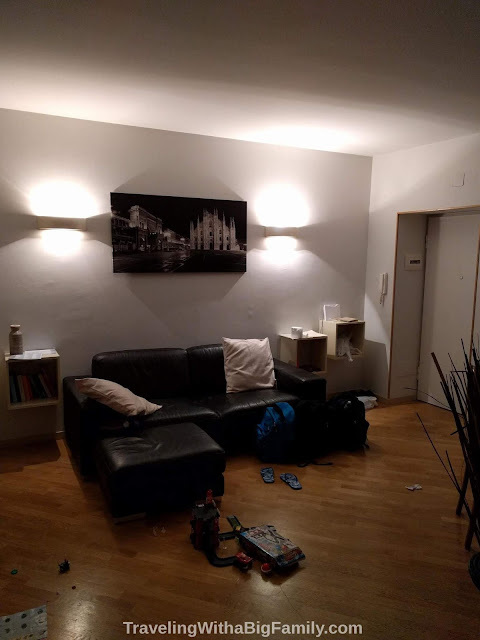 Some online research confirmed that Barcelona was supposedly "cracking down" on short-term rentals and making life difficult for these business people and for tourists. He was very gracious about it, and invited us to stay anyway, either by paying cash in person during the trip, or by simply staying free of charge, just so that our plans would not be disrupted. We thanked him for the kind offer, but booked another place. When we booked the new apartment, we asked if the rental was legal and compliant with any rules of the city and building. Our new host was a little put off by our request, responding in a tone that suggested it was offensive to even ask. She emailed me photographs of a little plaque by the door of the rental, which gave its address, registration number with some sort of city tourism department, and an expiration date that was several months in the future. We were only in Milan, Italy, for a very brief stay. I forgot to ask the host about whether the booking was legal. As he was showing us around the apartment, I asked him if it was legal in his building to rent out the apartment by the night. He became visibly nervous. He looked up at my close-cropped hair (a very police officer-looking hairdo!) and then at my wife, then back at me, before responding. He told me that there were a lot of complex city rules about short-term rentals, but that unlike a lot of hosts, he was in compliance because this was actually the place where he lived part-time. He said people got into trouble renting out units purely as a business, without living in the units at least part of the year. Ask the host in writing, either before booking or immediately afterward, whether the short-term rental is legal and compliant with local laws and condo or building rules, and save the reply in case of future trouble. Research it. Search the city name plus the name of the rental platform. I've seen stories about city rules (just rules, not necessarily bans) regarding short-term rentals in Amsterdam, Bangkok, Barcelona, Berlin, Charleston, Japan (the whole country! ), Las Vegas, London, Los Angeles, Milan, New Orleans, New York City, Paris, and San Francisco. Some cities have passed then repealed bans, some cities require owners to register their units, some cities won't let owners rent it out except under certain circumstances...it's bewildering, and very city-specific. Create documentation. As with any other problems that may arise with a short-term rental (unreliable electricity, getting locked out, checking in to a dirty apartment, bad directions to the apartment, etc. ), always communicate with the host via the same online platform that was used to make the booking. Switching to another messaging service rarely serves the needs of the traveler. Take Note of Deadlines. If you have a serious, major issue that may require the intervention of the online rental platform - something so major that it could lead to an early check-out and a search for alternative lodging - then notify the rental platform (in addition to notifying the host) in writing as soon as you discover the problem. For instance, one popular short-term rental platform has a rule that you must notify them of any problems within 24 hours after check-in. After that, they tend to believe you're in a nonrefundable, past-the-point-of-no-return situation. Just get out. If you arrive at a booking to see that any official-looking signs are posted (like in our friend's nightmare), and those signs warn of your arrest, take the warnings seriously. Don't even go inside. Instead, you might consider gathering your family and possessions, and heading to the nearest registered hotel. From there, you can contact the online rental platform for a full refund. Extricating yourself from a rental is much easier if you do so before checking in, rather than afterwards. Lest any of this should give you pause, let me emphasize: we think renting an apartment or home for a big family is the perfect solution for most trips. You can find our tips on finding the perfect neighborhood in this prior post. Have you booked a stay only to be told later that it might not be "technically" allowed? What would you do if you were already checked in somewhere, then saw signs saying you were subject to prosecution as a trespasser?